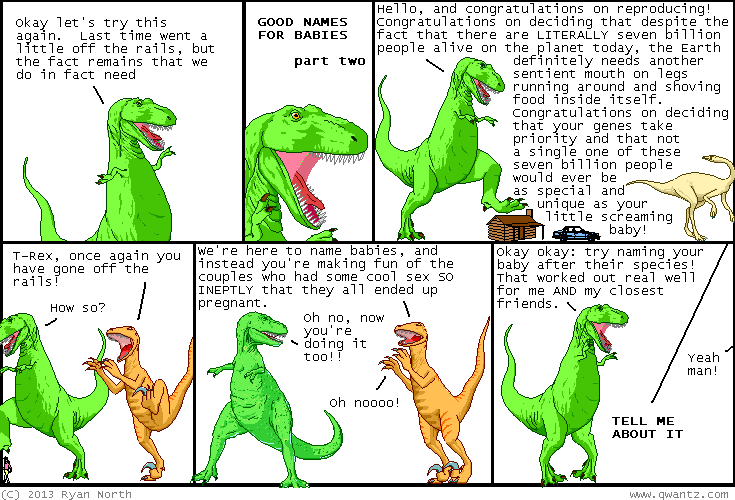 Dinosaur Comics - March 26th, 2013 - awesome fun times! March 26th, 2013: Over the weekend a Utahraptor statue was stolen in Australia. A bunch of VERY SUSPICIOUS PEOPLE emailed me but hah hah what POSSIBLE USE could I have for an amazing life-sized Utahraptor statue? Anyway it was recovered yesterday from someone who I definitely do not know and who is in no way taking the fall for me, hah hah, what a ridiculous unfounded allegation.